Home > Trading their ‘Original Hazard House’ after… 13 years of use! Trading their ‘Original Hazard House’ after… 13 years of use! 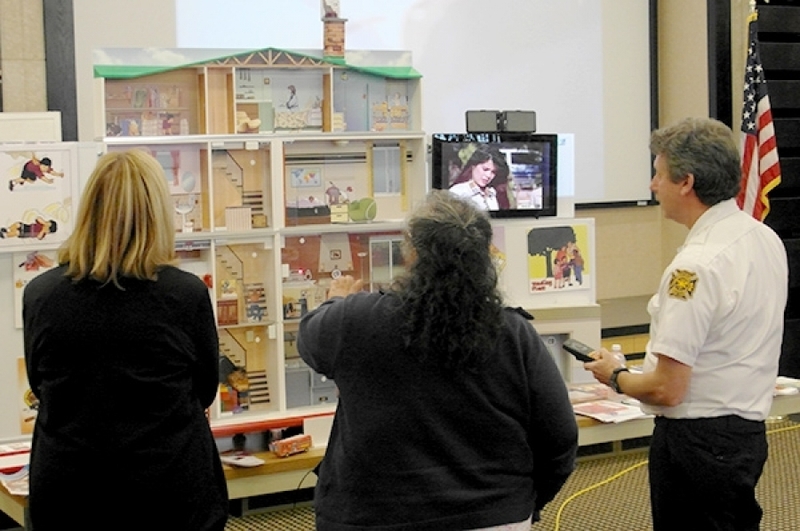 The Mattydale Fire Department in New York has been using its ‘Original Hazard House’ fire education simulator since 2002. After 13 years of continuous service, the very popular fire safety prop was recently traded in for a ‘Large Group Hazard House’, to better fulfill their fire prevention program’s needs. Quality of the product and good care from the public educators team during 13 years have allowed Modeltech International to offer Mattydale FD good trade-in value to help reduce the cost of the new and even more effective ‘Large Group Hazard House’ training tool. Their new generation simulator includes a bidirectional link to the latest Smart Screen, supporting the presentation with compelling real-life footage and animated graphics. It also has room to grow, with pre-existing connections to add the new ‘Hazard Kitchen’ modules later on. Congratulations Mattydale FD for this wise decision that is in line with the continuous improvement of your fire prevention program! John Kilpatrick, Fire Prevention Officer from Mattydale Fire Department, NY, showcasing the Hazard House simulator during the “Fire Safety Day” for the employees of of National Grid, in Syracuse, NY.